I have received 8 SalesForce.com certifications and have been using SalesForce for nearly 9 years and have learned a lot about the system. I have used it to migrate companies from past on premise systems to the cloud. I have also handled all data migrations and even moved one organization from Unlimited Edition to Enterprise Edition through setting up a new system and migrating all data. I believe in the vision in SalesForce and want to help others leverage its power. Visit the Salesforce Status Page where you can find your instance. Upon doing so, you can see if your instance had a major release. Apps Installed - What are all the apps presently installed in the Salesforce instances and are they all being used? Often there will be old apps installed that no one is using. By removing them, you can remove a lot of un-necessary objects, tabs, etc. Licenses Installed - What are the licenses presently enabled for the instance, and how many of them have been assigned? By looking at this you can get a feel for overall adoption. I often look at the list of users who have login access to ensure they have all been logging in recently. Data Storage - What amount of the data and file storage is being used? By looking here you can get a feel for who are the power users, but also what object(s) may, or may not be effectively used. Workflows - What are the workflows presently enabled? By looking at this, you can get a feel for what needs to be considered before removing any objects, etc. You will want to check for any Process Builder automations (usually a sign of an advanced administrator). Fields and Page Layouts on Key Objects - What are the fields on the key objects (e.g. Leads, Accounts, Contacts, Opportunities, Contracts and Cases)? What about the page layouts on those same objects? By looking here you can get a feel for some more recommendations on how to optimize the system. Additionally, often there will be data being stored in fields that should be encrypted or protected by field level security, but isn't. Newest Features Enabled - What features, from the recent releases, have been implemented? By looking at this you can get a feel for how active the admin has been, but also get a few quick wins/recommendations to give to the client. Security Settings - What security settings have been enabled for Org Wide Defaults and also Login. By looking at this you can get a feel of any vulnerabilities that may still exist. This is especially prevalent in older instances. Reports and List Views - Often when instances grow, they leave the ability for all users to create Public List Views and Reports enabled. However, in doing so, there is often an excessively large number of views and reports not being used. So these are just a few of the things I look forward when being introduced to a new client's instance, or helping a client who needs a clean-up project. With the Spring 17 Salesforce release coming, we are doing a multi-part blog post on the many exciting features forthcoming. You can see our previous blog post on the changes coming to the Sales Cloud and Service Cloud. 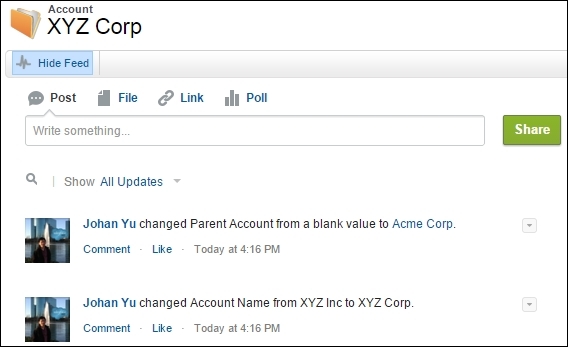 With Salesforce Lightning Record Type/Profile Assignment, you now have more granular control on how the Pages (i.g. Think the old Salesforce Classic Page Layouts) display. Previously with Salesforce Lightning, you could only control the Page assignment by App. Now you can also customize it based on App, Record Type, and User Profile. You can see the complete details of this exciting new feature here. For those of you who have used Approvals, there are two great enhancements coming. The first is that you no longer have to remember to add the "Submit for Approval" button (on Page Layouts). This is done automatically for you now. And second, in Lightning, you can now have a widget on your home page that shows all your Approval Requests (as well as an Approvals Request tab). You can see how to enable both of these features here. For those of you that have already started to use Global Picklists, there is now the ability to tie the values to Record Types. This is great and gives you more control. That being said, there is isn't a way to migrate a current picklist to using a Global Picklist. That being said, we have heard that is forthcoming soon! To learn more about when Spring 17 will be available in your org, you can visit the Salesforce Status Page (https://status.salesforce.com/status) and on the right side you will see the dates the Spring Release is being introduced to your Salesforce instance. With the Spring 17 Salesforce release coming, we are doing a multi-part blog post on the many exciting features forthcoming. You can see our previous blog post on the changes coming to the Sales Cloud. Salesforce has finally introduced Lightning to the Console. 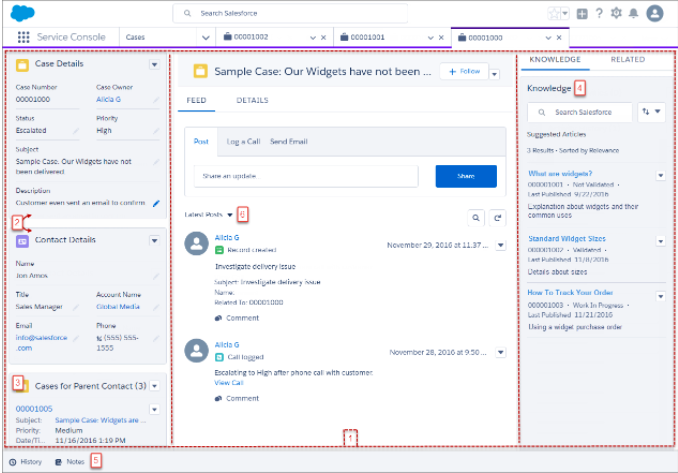 With the Salesforce Lightning Console service agents can finally take advantage of Lightning Experience. 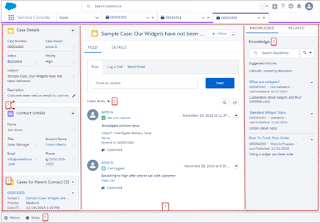 With the Salesforce Console in Lightning you can now leverage more of the Case Feed, Chatter Actions, Branding and more. Also recently introduced to Lightning is Salesforce Knowledge. While there are some limitations (listed here) for organizations with complex knowledge configurations, for those just starting to use Salesforce Knowledge it is a viable choice. Having Salesforce Knowledge in Lightning brings a more modern user interface to Knowledge (which has needed a UI refresh). 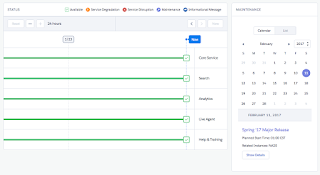 For those of you that are already using Omni Channel, an exciting new feature is finally available - Omni Channel Supervisor. Omni Channel supervisor will let your supervisors see a complete overview of the work coming in via Omni Channel. For those of you not yet using Omni Channel, you should. Omni Channel gives you the ability to assign work, on just about any object, in a scalable way. You can learn more about Omni Channel here. On the Web to Case forms, not much has changed, nor has it needed to. That is because the Web to Case forms do what they need to. However, there was always the high risk of SPAM leads coming in from bots. Well, no more. You can now, out of the box, have a CAPTCHA code on your Web to Case form. You can see the complete release details here on this feature here. With the Spring 17 Salesforce release, many exciting features are forthcoming. Over the month we will be reviewing each of the clouds and how they will be changing. We will start with Sales Cloud since it touches the most users. When it comes to Lightning, it has greatly evolved and introduced a great User Interface. However, one thing that has consistently been missing for most organizations is Forecasting. Well, no more. In the Spring Release this is finally being resolved. Now, if you are using Collaborative Forecasting you will be able to access your Forecasts in Lighting. This is a great step forward for customers with Sales Teams who have been waiting for Forecasting before moving to Lightning. 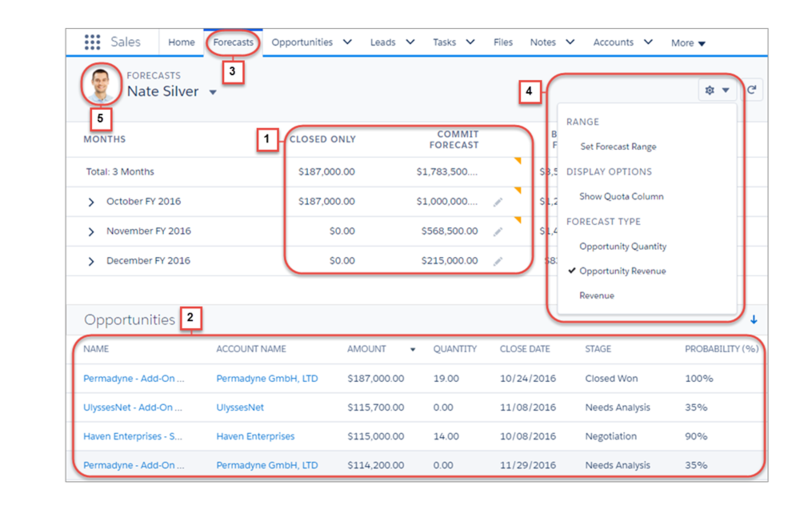 Unfortunately you can’t see the Quota Attainment or see a specific user’s forecast, but these will have a great impact on Sales Managers who could still use Salesforce Classic. You can see the complete release details here on this feature here. 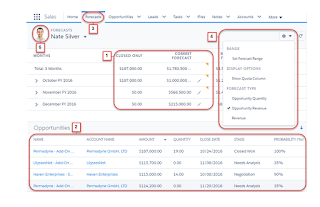 When Salesforce Lightning was first introduced, a big feature that users loved was the Kanban view on Opportunities and Leads. Well, now you can see it just about anywhere in Salesforce Lightning. You just have to click the cog (in the top right corner of a list view) and you can see this on anything. You can see the complete release details here on this feature here. On the Web to Lead forms, not much has changed, nor has it needed to. That is because the Web to Lead forms do what they need to. However, there was always the high risk of SPAM leads coming in from bots. Well, no more. You can now, out of the box, have a CAPTCHA code on your Web to Lead form. You can see the complete release details here on this feature here. 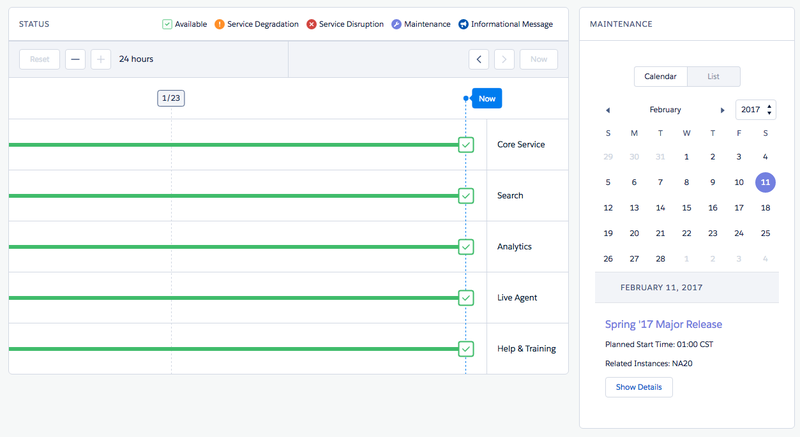 Finally, Salesforce is introducing a feature (as a beta) that will allow you to leverage the Einstein Machine Learning to score your leads. Previously this was only available if you were using a Marketing Automation tool like Hubspot and Marketo. You can see some initial details about this here. So, let's review what each of these are. 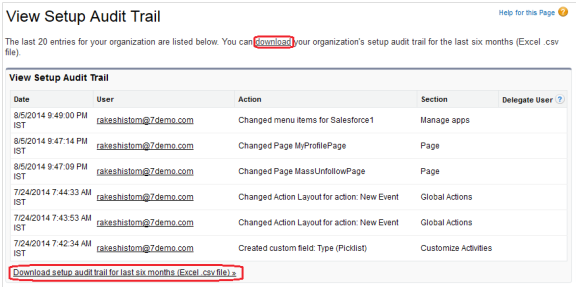 The Setup Audit Trail, which is available only to administrators, is found under Setup. The Setup Audit Trail gives you details about changes made in the Setup module, including changing fields, adding users and more. This is enabled by default and can't be turned off. 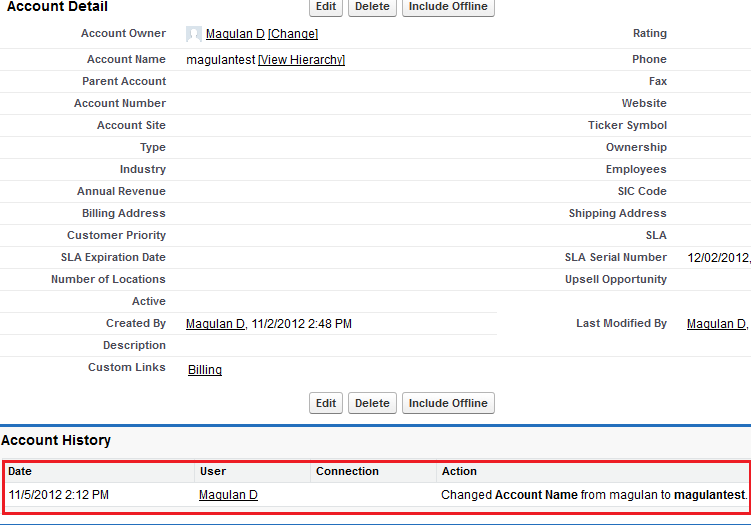 The Field History can be enabled by administrators on any object. They let the administrator set up to 20 fields to be tracked automatically. 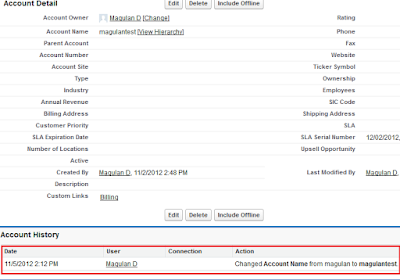 Once selected, any changes made to those fields by users will be denoted in the Field History related list on the object. The fields to be tracked are under the fields section of the respective object by clicking on Field History. The Chatter Feed Tracking can be enabled by administrators on any object. They let the administrator set up to 20 fields to be tracked and when changes are made, a chatter post is created. This is useful for field changes like Account, Lead, Contact Names or Status Changes like Opportunity Status, Lead Status, etc. It is important to note that unlike the other two options above, a user could delete the Chatter Post and remove the "history"
Overall there are a number of ways that you can track the history of activities in SalesForce. These are in addition to things like the Login History and Created/Last Modified details tracked on a record. 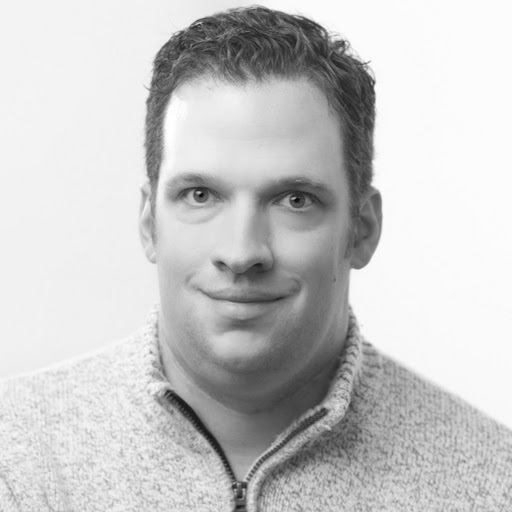 Having helped implement a number of SalesForce systems for customers, I have learned some best practices/tips that can make an implementation go much easier. This is the second post about this topic. You can read the first one here about profiles and standard settings. In this post I will review the report and view changes I usually make. First, with Dashboards (under DASHBOARDS), I often remove the Company Performance Dashboard as it contains metrics that aren't relevant to the company in question. Instead I will often create a custom dashboard towards the end of their implementation. Also, don't forget to update the Home Page Dashboard too. Second, with reports (under REPORTS), I often set all the default report folders to not be visible if I don't think they will have a use for the client. This is done by clicking on the report folder and clicking 'Share' and then removing access. I do this because many of the reports, like dashboards, don't contain the relevant fields or terms (and since they are standard reports you can't save changes). So i just remove them. And additional benefit of hiding the folders is that I can make new folders with appropriate permissions and save a "Report Clean-up Project" in a year. Third, with views (under any OBJECT), I often create views (by clicking 'Create New View') that will be relevant to the customer based on the data they have. This is because otherwise they have no easy way to access the data they are expecting to see with ease. Finally, within a page layout, I often will update the related list fields so that they are more appropriately. For example, most customers don't initially use 'Campaigns', but the 'Campaigns Related List' always shows on Leads and Contacts. So I will remove that or alter the columns as appropriate. That's all. Nothing too fancy but just some configurations to make things easier for the users.